"We need global attention to stop it today." 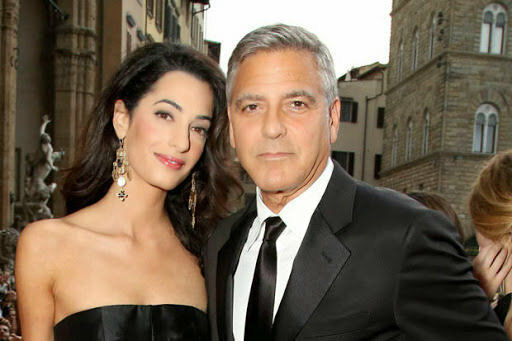 George Clooney created headlines when he married human rights lawyer Amal in 2014, with people marveling at how the advocate had managed to tame the commitment-phobic star. Well, it seems like that question is answered by having a look at the humanitarian interests that the couple have in common. The actor is a passionate campaigner for human rights, and is a chief associate of the 100 LIVES Initiative. This is a project which focuses on creating awareness about the Armenian Genocide, urging recognition and acknowledgement of the deplorable human suffering it caused. 2015 marked the hundredth year since the genocide happened, yet it has received relatively poor attention across the globe. The Armenian Genocide refers to the massacre of an estimated 1.5 million minority Armenian subjects by the Ottoman government. Believed to have begun on 24th April 1915, this genocide was conducted during and after World War I across the geographical area of the Ottoman Empire, spanning present-day Turkey its successor state. However, Turkey refuses to acknowledge the massacre as genocide, which disrespects the Armenian lives lost due to the violence. Through the 100 Lives Initiative, Clooney joins activists around the world in spreading awareness about the genocide, and celebrating the contribution of the intellectuals who lost their lives in the carnage. Taking the 100 LIVES initiative one step further, the initiative introduced the ‘Amal Clooney Scholarship,’ in December 2015.This scholarship is to be awarded annually to young Lebanese women, enabling them to pursue a degree at Armenia’s United World College Dilijan. George Clooney is also co-chair of the Aurora Prize for Awakening Humanity, which awards a $1 million global humanitarian prize to recognize those who put themselves at risk to save others’ lives. George Clooney has also joined hands with Hollywood stars like Brad Pitt and Matt Damon to launch the charity Not On Our Watch, which aims to bring global attention to international crises, which do not receive much attention by global media. The charity’s work now spans across Burma, Zimbabwe and Darfur – where Clooney also filmed and co-produced Sand and Sorrow, a 2007 documentary about the Darfur war crisis. Copyright © 2016 Globalo. All rights reserved.